The Horn Economic and Social Policy Institute (HESPI) is a regional Think Tank, head quartered in Addis Ababa, Ethiopia, primarily engaged in Socio-economic policy research institutional capacity building with focus on the IGAD region. One of HESPI’s ultimate objectives is to influence policy through policy dialogue by organizing public forums and policy round table discussions. This is designed to create an opportunity for researchers and policy makers to debate on evidence-based policy issues of current importance and seek lasting solutions. Eastern Africa in general and the IGAD region in particular is one of the primary sources of illicit migrant flows and large stocks of migrants and internally displaced people (in excess of 5 million) reside in the IGAD member countries. Although the exact number of illicit migrants that originate from the IGAD region varies, nationals of the member countries constitute a significant share of the total migrants that arrived in Europe in 2016. In that context, the Horn Economic and Social Policy Institute held a policy forum on illicit migration from the IGAD region and its implications on 10 March 2017, in Addis Ababa at Golden Tulip Hotel from 8:30 am to 12:30 pm. 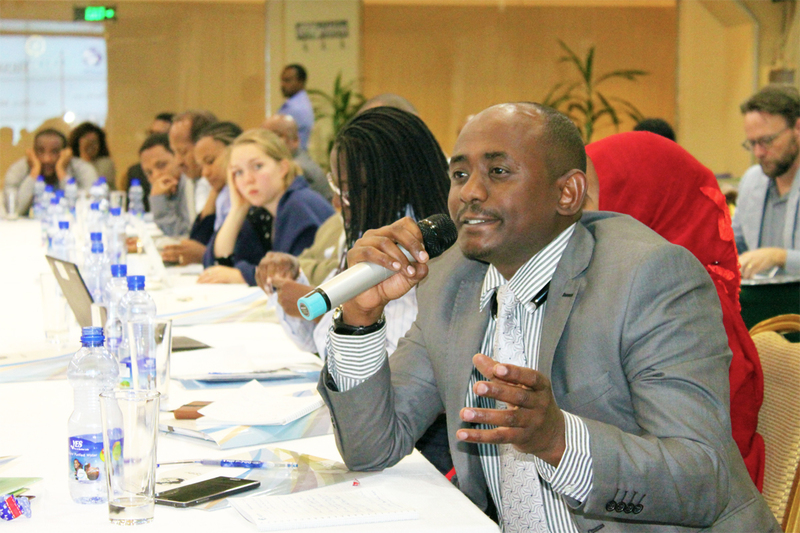 The policy forum addressed the root causes of migration in the source and destination regions. It thoroughly explored the push (attendant in the sending countries) and the pull factors (actual or imagined available in in destination countries or regions). It examined the consequences and the challenges migrants face, both during the process and at arrival in destination countries. The discussion tailored towards assessing the circumstances that lead to migration, the process, the consequence and possible durable evidence based policy options. This high-level policy forum brought together representatives of the IGAD member governments, the African Union, relevant UN Agencies, civil society, research institutions and the general public. Several media correspondents attended this policy forum to address this critical issue.